Marvel has announced that on Sept 29th 2017 they will be releasing an Inhumans TV show. Previously they had released a teaser to wet our appetites, but today they finally dropped this trailer. I don’t know about you guys, but I am a huge Inhuman fan and this looks like they may just be doing the series justice. I can’t wait to see this in September! This is more of a little reminder to all you folks out there that Preacher Season 2 premiered last night, June 25 on AMC and will be running for 13 episodes. Season 2 kicks off right where Season 1 left off and here is the season 2 trailer to get you going. Preacher is based off the Garth Ennis Comics series of the same name, and it is one gloriously twisted, fantastic ride. I highly recommend taking a look, so long as you are not easily offended. The animated Netflix exclusive was announced earlier this year and here’s our first look. Castlevania will be released on Netflix July 7. Tom Hardy is dropping the mask he wore in The Dark Knight Rises for a starring role as the titular villain in Sony Pictures’ Venom, Sony Pictures confirmed today. 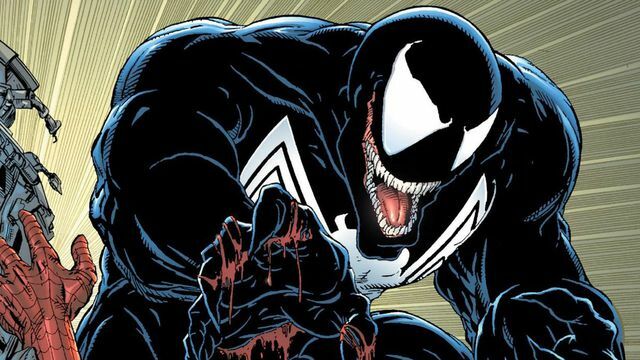 Venom is the first of many Marvel-based projects that Sony plans to release over the coming years. The studio’s next project, Spider-Man: Homecoming, will be released as a joint project between Marvel Studios and Sony. Sony is also developing a Silver Sable/Black Cat film, but there’s no word on when that may come to fruition. Venom is one of the more popular villains in the Spider-Man universe and made his first big screen, live-action debut in Spider-Man 3 back in 2007. That version of the villain was played by Topher Grace, but unfortunately for Sony, Spider-Man 3 wasn’t well received by critics. Despite the negative attention the movie received, it still managed to gross more than $330 million worldwide upon its release. The move from DC to Marvel also grants Hardy acceptance into an exclusive club held by some of the biggest actors working today. Others, including Halle Berry (Catwoman, X-Men), Ben Affleck (Daredevil, Batman v Superman: Dawn of Justice), Chris Evans (The Losers, Captain America), James Marsden (Superman Returns, X-Men) and Ryan Reynolds (Green Lantern, Deadpool) have all been in DC and Marvel films at some point in their career to varying degrees of success. Venom is scheduled to be released on Oct. 5, 2018. It will be directed by Ruben Fleischer, best known for his work on Zombieland. Despite Attack On Titan being a massive hit in 2013, the follow up season has been very slow to arrive. Well we have finally gotten word that next spring, we will FINALLY be seeing season two of this fantastic anime according to the Official Twitter page of Attack on Titan. No Specific date was set, but at least we have a Window, Attack On Titan Season 2 is coming out Spring 2017!